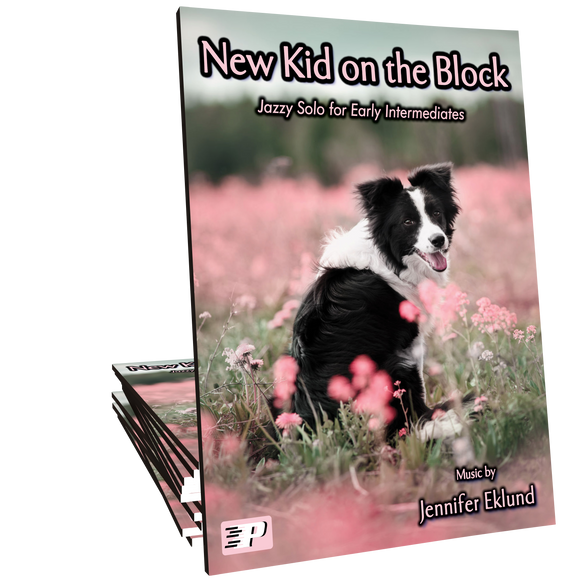 New Kid on the Block is a jazz-style showcase solo perfect for early intermediates of all ages. 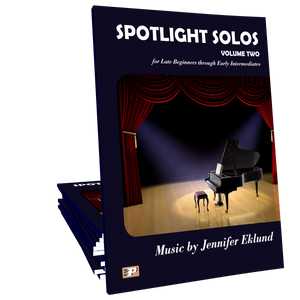 Music composed by Jennifer Eklund and is part of the Spotlight Solos Volume 2 and Dog Days Songbooks. 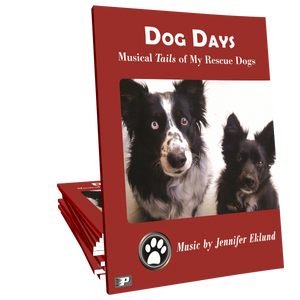 I love this little jazzy tune! I personally like to play it because of how it fits in my hands. My students think it very exciting. For some reason the end of the song reminds of the opening credits song from Full House the t.v. show which makes me love it even more-nostalgia! For students it is a great song to talk about form with as well as to start to get them playing something a little more jazzy than they might normally without having to go back a level for an easier piece to teach the structure of jazz. Great song!